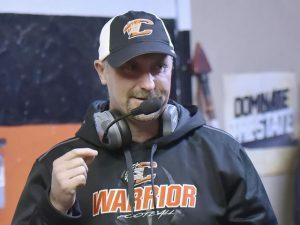 As the Chilhowie Warriors take the field Saturday at Salem Stadium, it will mark the second time in 363 days that the Warriors have hit the turf in the Roanoke Valley in search of a state championship. 2018’s VHSL Class 1 football state championship features a rematch from a year ago between Chilhowie and the Riverheads Gladiators. The Warriors look to avenge an embarrassing 42-0 loss at the hands of Riverheads last season. The small Smyth County town has seen a lot of things happen this season on the unfinished business tour. Jeff Robinson led his alma mater to its first 10-0 regular season since 1971. The Warriors current 14-0 record is the best in program history. Greg Sanchez is the all-time leading rusher in program history with 5.568 yards. On Chilhowie’s way to the 2017 state title appearance, the Warriors had regular seasons slip-ups to Marion, George Wythe and Virginia High. In 2018, the Warriors thumped those opponents, 33-6, 39-0 and 37-7, respectively. The dominoes have fallen just the way the Warriors have wanted this season. At the beginning of the season, coach Jeff Robinson wanted his team to write a single word down in what they hoped to accomplish this season. The sixth year head coach wrote down a powerful word. What were the Warriors at the end of the regular season? If the Warriors knock off the defending two-time state champions in Riverheads, the 2018 season will always be remember by those across the Commonwealth as perfect. Saturday’s contest marks the third time in program history that Chilhowie has appeared in the state championship game. In anticipation of Saturday’s rematch between the Warriors and the Gladiators, let’s take a look back at the Warriors history on the state’s largest stage. When Ron Bales led the Warriors into the 1970 football season, he was coming off a treacherous 2-8 campaign in 1969. Little did Bales know that his third campaign of his six-year stint as the Chilhowie head coach would be the best season in school history. The Warriors dropped their season opener in 1970 to arch rival Marion before defeating Holston, Rich Valley and Saltville. After a three game winning streak, the Warriors fell to the Patrick Henry Rebels 26-24 on Oct. 2. It was the last time the Warriors lost in 1970. 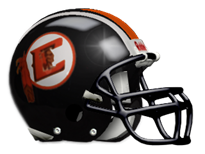 Chilhowie proved victorious over Mountain City, TN, Independence, Fort Chiswell, Castlewood and Rural Retreat on its way to the playoffs. Once the playoffs began, the Warriors did not look back. Chilhowie defeated Natural Bridge 31-6 in the first playoff showdown before holding off J.J. Kelly 15-14 the next week. Perhaps, what most people talk about regarding the J.J. Kelly contest is what most people in Chilhowie refer to as “The Play.” A fake field goal pass caught by Tom Bishop and a Tom Hill extra point pushed the Warriors past the Indians by a single point. The seven game winning streak set up the state championship matchup with Fluvanna County on December 5th. Phil Browning led Fluvanna County into the matchup with Chilhowie riding an 11-game winning streak. The Flying Flucos had one slip up in week one in a 14-0 falter to Lunenburg Central. Browning’s squad had shutout seven of their opponents. The Flucos had allowed double digits to only Lunenburg Central, Strasburg and King George on their way to the matchup in Charlottesville with Chilhowie. The inaugural VHSL Class A state championship was worth the price of admission. Fluvanna led 6-0 after a dominant first half behind tailback Beau Agee. The Flying Flucos held that 6-0 lead until late in the fourth quarter when Hill played the part of hero once again. Hill intercepted a Fluvanna County pass to lead to touchdown to tie the game at six. Forty-seven years later, the Warriors found their way back to the state championship. The Warriors into the state championship game riding an 11-3 record, which included an eight game winning streak behind Zach Cale and Greg Sanchez. Much like 1970, the Warriors stepped into the ring with a Goliath. Riverheads came into the matchup 11-2 on the season with losses to Luray and Robert E. Lee Staunton. Riverheads also laid claim to the 2016 state championship. 2017 marked the Gladiators third consecutive appearance in Salem. Unlike its prior appearance in the gold medal round, Chilhowie did not find luck. On a cool December 12th, Riverheads outgained Chilhowie 424-89 offensively while forcing three turnovers. When the clock struck zeroes, Riverheads had won its fifth state title since 2000 with a 42-0 thumping of Jeff Robinson’s squad. Gladiator tailback Devin Morris dashed for 171 yards and two touchdowns while fullback Dalton Jordan added 150 yards and two touchdowns while helping to bring the state title back to Greenville. All this and more will be in the back of the minds of Chilhowie residents everywhere on Saturday. The 2017 Class 1 state championship is the last game in which Chilhowie has been in the loss column. A state championship trophy is the only thing that this experienced Warriors club has eluded for 48 years. Logan Branson and the gang would love to spoil Riverheads opportunity at a three-peat. While the Warriors are much improved this season, to win a state championship, there is one thing you must be on that stage. I am a graduate of Richlands High School—class of 2014. In May 2018, I graduated with a bachelor’s degree in Multimedia Journalism and History with a minor in war and Society from Virginia Tech. My passions in life are numerous. We don’t have all day. This is not the place to divulge into Hokie Football, so I will shed some light on one of my other favorites. Let’s talk, SWVA sports, Hokies, history or maybe even barbecue.